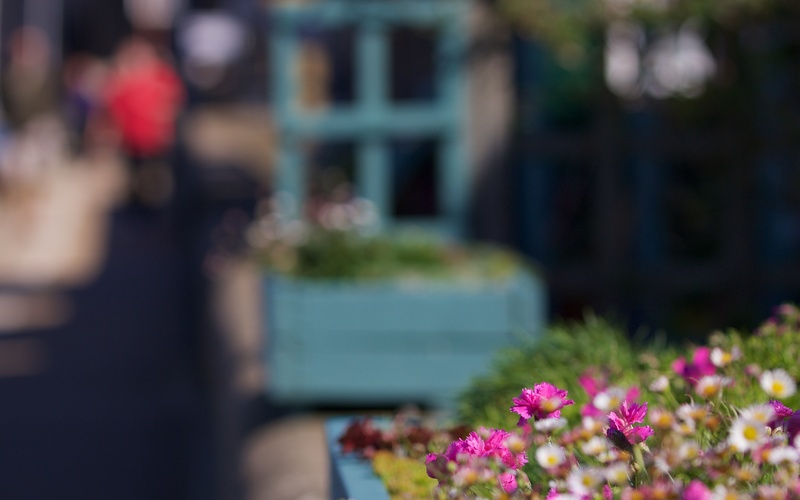 Whitstable is quiet without the summer visitors or weekenders down from the Smoke. The few about are pensioners and young mothers in the main. A couple of windsurfers tiptoe down the beach and soon have more zip than most. The westerly is only tamed by turning your back or finding some shelter. 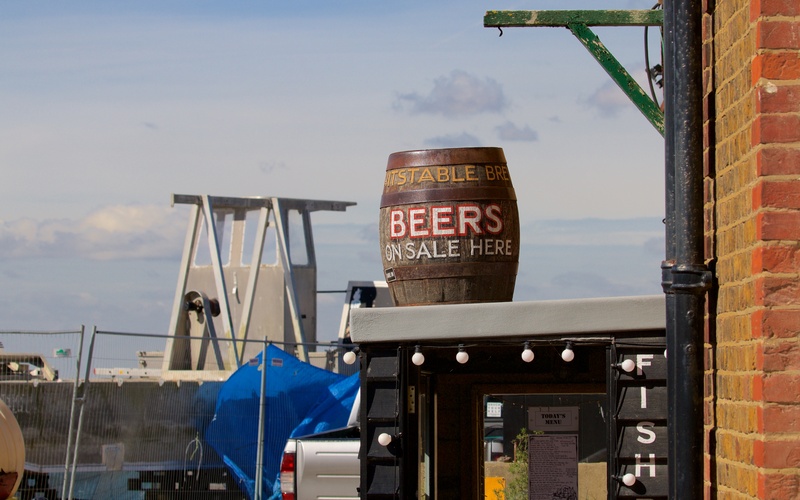 Whitstable seafront; ale, fish and chips for some, porter and oysters for others. 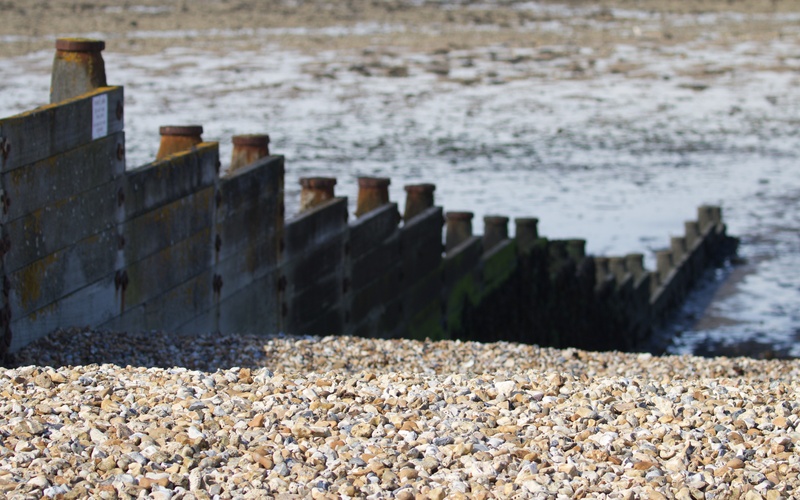 The pebbled beach at low tide; a groyne makes a wonderful windbreak and backrest. The path runs along the top of the shore where mallow (Malva sylvestris) still flowers as well as yellow rocket (Barbarea vulgaris). The beach at low tide holds oystercatchers and curlews that are hard to spot but easy to hear as their fluting and peeping calls carry in the wind. A group of painters test their art on the picturesque seafront with its hotpotch of well-tended cottages, weatherboard and bright paint looking over ranks of blue buttoned up sailing dinghies with their wire-tapping masts. The herring and lesser black-blacked gulls stand and stare in loose groups at the bottom of the pebbled beach. 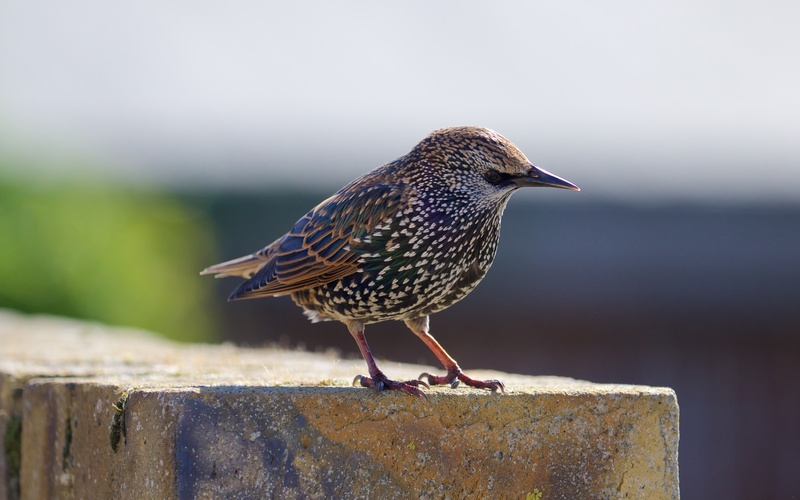 Starlings work the cafes for a discarded or dropped chip. Small groups also search for the abundant flies (probably a Coelopa spp.) amongst the drapes of olive seaweed (Fucus spp.) on the groynes. Adult starling in its sequinned, purple-sheened winter plumage loitering next to a cafe. 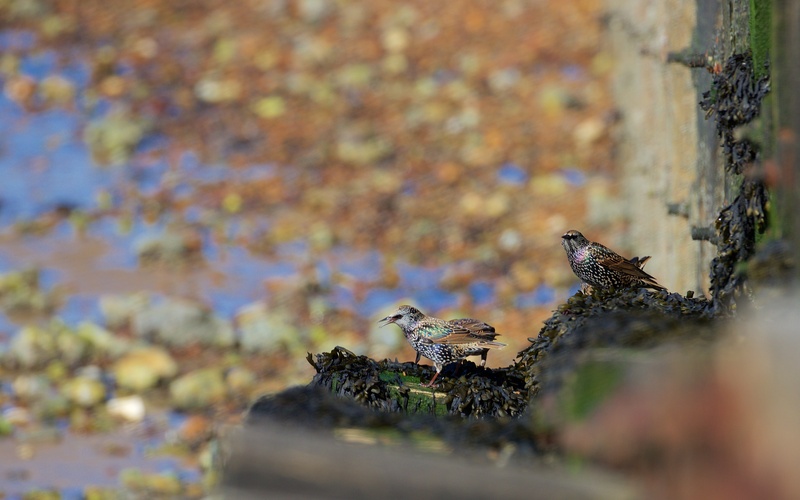 Starlings hunting for flies hidden within the seaweed. The harbour is pretty, even at low tide with the boats sunk at the base of the high concrete wall. 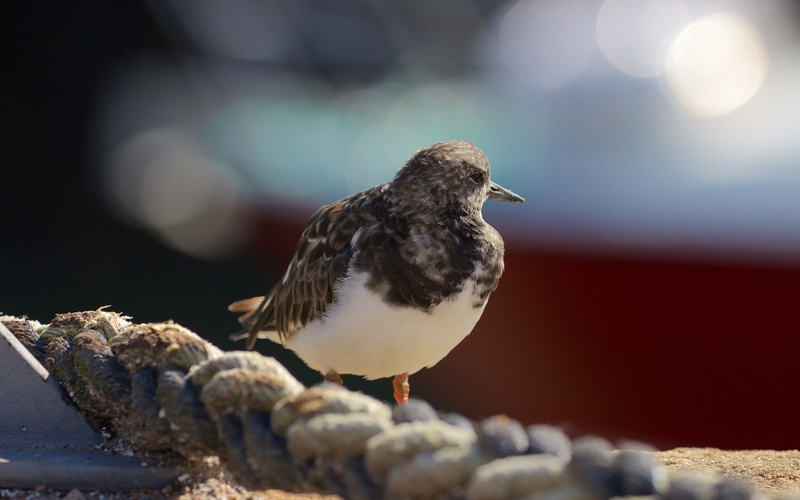 Turnstones attend the boats and cafes with more daring than the starlings, gulls or crows. They scuttle across the concrete and rest in comparative safety at the very edge of the harbour. 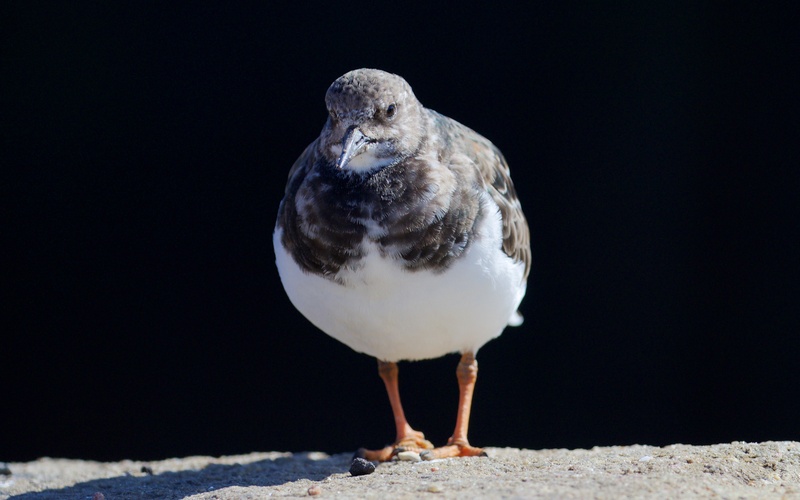 Turnstones forsake the beach for the rich pickings around the harbour. This requires a strong nerve and quick feet. A turnstone nods off in the warm sun. 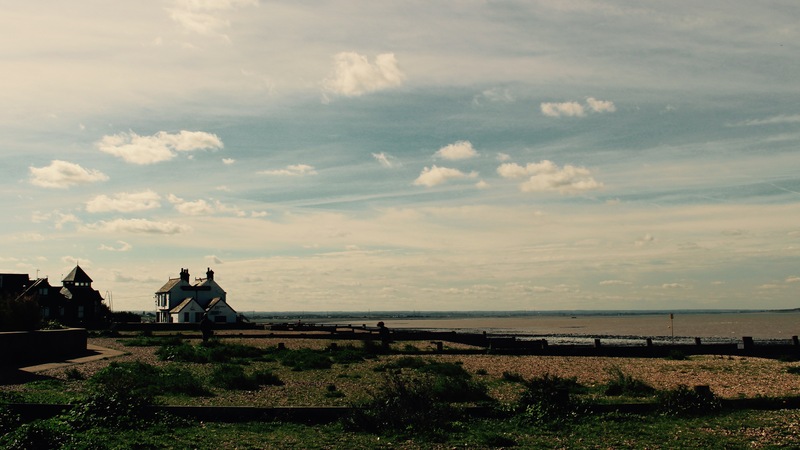 The Whitstable shore has some classic views; this lovely picture was taken by my daughter Katie. The high cloud slowly edges in from the north and west; the cold front will drown the autumn sun and smother the wide views the following day. Dear Steve……………..the rumours in Radnorshire are that you have been observed calling “toothsomely” from some Kentish ruins, hope all is well, there are still no birds on Elenydd and you seem to be covering all the favourite spots of my teens, Bayham Abbey was a wooded haven for me on my bicycle, first family of Hobby seen there, why no report from Rye and its harbour and its pottery ? Hi Peter, many thanks. Rye it is then… All best wishes to you, Radnorshire and of course the Elenydd. See you up there one day soon?